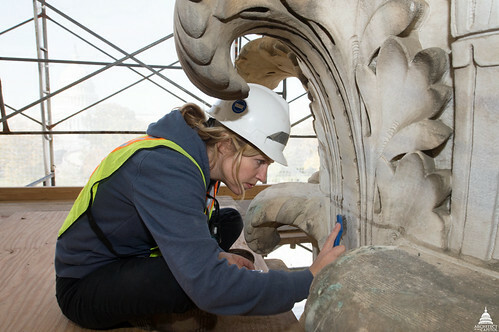 Beginning May 2012 the U.S. Supreme Court Building's West Front Façade began a complete restoration to address deterioration due to age, weather and nature. Take a close-up look at the work underway. 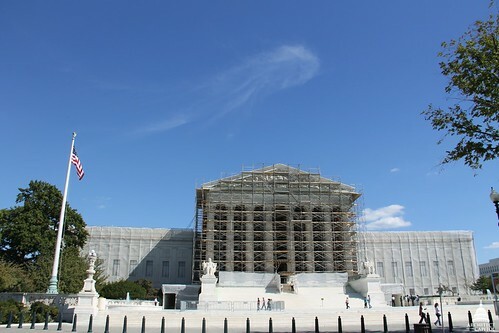 Scaffolding was installed during the summer of 2012 across the entire west elevation of the Supreme Court. 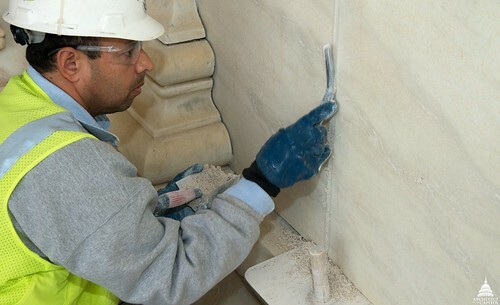 Workers repair the mortar joints between the marble on the façade. Workers prepare the buildng's marble for laser cleaning; removing heavy deposits of surface soil and adhesives. 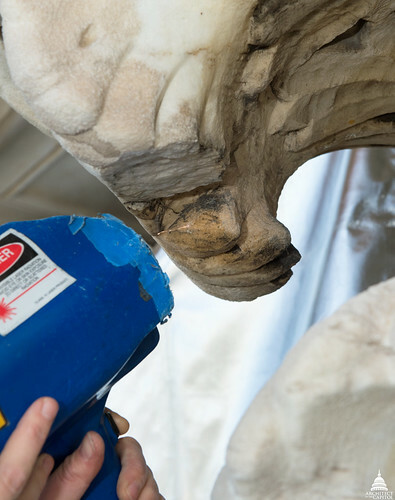 Laser cleaning of the marble – a technology similar to that used cosmetically for skin – removes soiling without touching the fagile stone. Updates on details of this project.